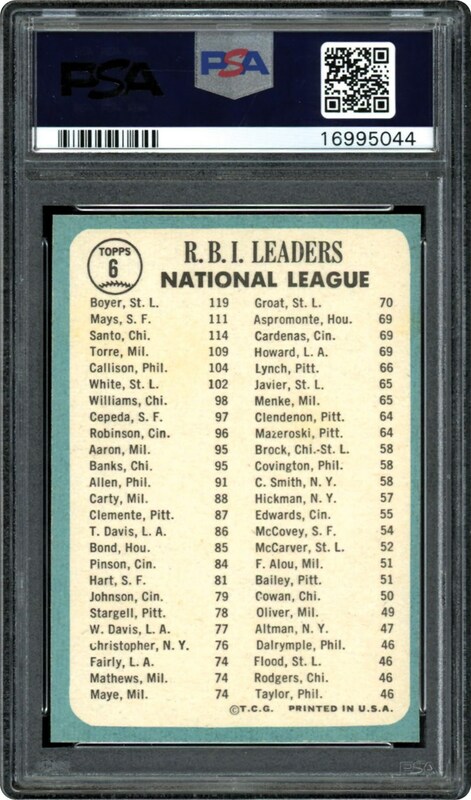 PSA 10!!! Willie Mays in this PSA Gem Mint 10 holder. 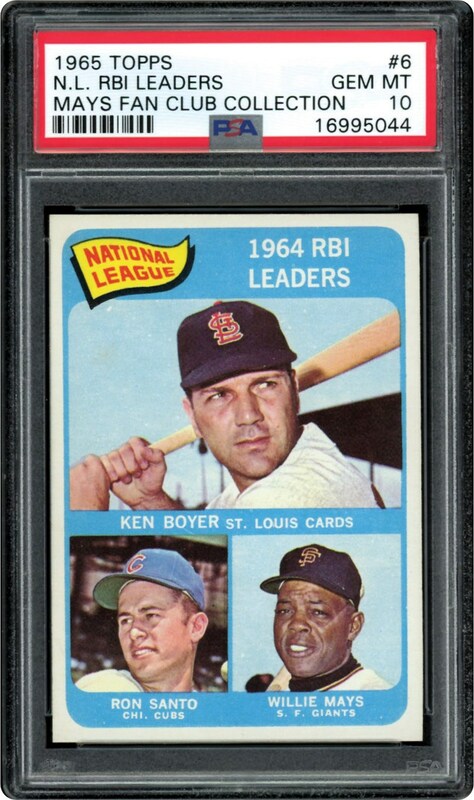 Tough card showcasing 3 of the games greats in their prime (Boyer, Santo & Mays). Bid to own this PERFECT Pack Fresh card. Registry Set Builders Dream Card!! !